Carrie Rodriguez has served the patrons of Greens Pharmacy for over 15 years, she has taken care of all and given her two cents worth when asked. Carrie now has terminal cancer and has been forced to stop working. Carrie has a young son Nickolas at home and needs our help. She has no income now and the bills keep on coming. While she can she would like to take a couple of short local trips like the Keys that she has always loved between her cancer treatments. She will also need help with her transportation to and from the many medical appointments as she now can not drive a funded Uber account would help. She could stay with her son longer if homecare could be funded. 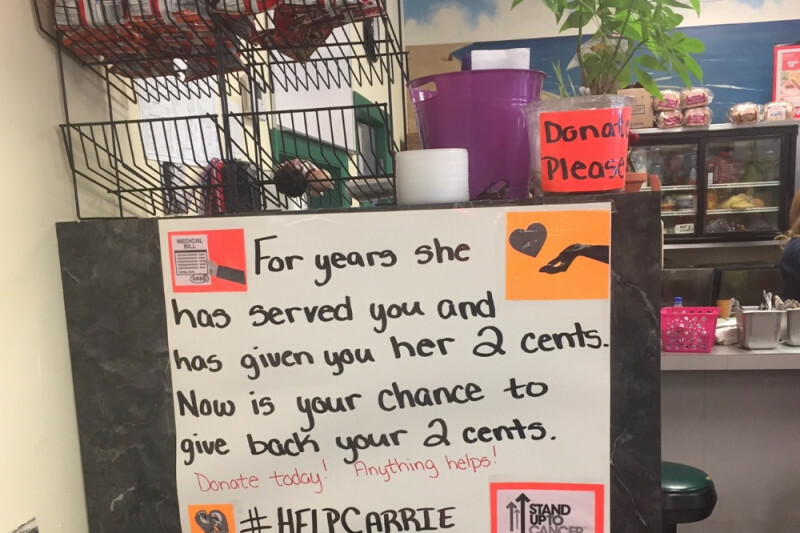 Carrie does not have a lot of time so we need help now, any amount will help, Please give as much as you can.